Printer offline problem usually occurs following a Win 10 update. When the issue occurs, you, quite obviously, can’t print anything. While this problem can arise other times, too, most Win 10 users have complained of receiving the error after upgrading to Win 10. In many cases, printer works after reboot, but this happens only once. Then again the printer status is shown as offline. 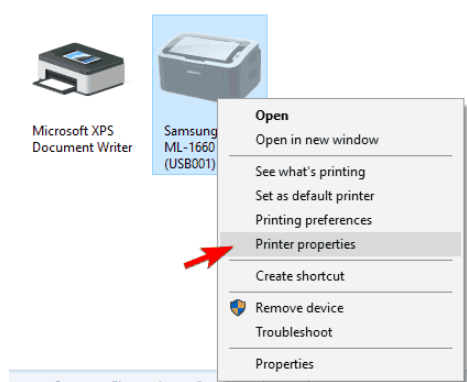 The printer offline issue is not limited to Windows 10. It is something that troubles Win 8 and Win 7 users, too. In this post, we’ll look at all the possible solutions to this irritating problem. However, first let’s start with other issues similar to the printer offline problem. We’ll cover them as well in our post. Printer offline error processing – When you try to use your network printer, you may receive Error processing command. A pretty common problem, it can be fixed by following one of the solutions listed in this post. Printer offline Canon, Epson, Ricoh, HP – You can get this error with any type of printer. Wireless printer offline – If you have a wireless printer, you may receive this problem. Printer offline SNMP – The SNMP feature at times cause this particular problem. You can resolve the issue by disabling SNMP feature. Printer offline unable to ping – So what happens here is that the Windows can’t recognize the connected printer. Many Windows users have said that they couldn’t ping the network printer. Network printer offline VPN – This issue typically arise when a VPN is involved. You may be able to solve the problem by changing the VPN configuration. Why Printer Offline Issue Occurs? Windows isn’t able to recognise the printer, and as a result this problem occurs. Before you try the solutions listed in the post, we recommend you follow these tips. You should ensure your printer is correctly connected to your laptop or desktop PC. If the printer is connected properly, turn it off and then after a minute or two turn it on. See if the issue is fixed. Microsoft has its own printer troubleshooter. We recommend you give it a go. Click here to run this printer troubleshooter. 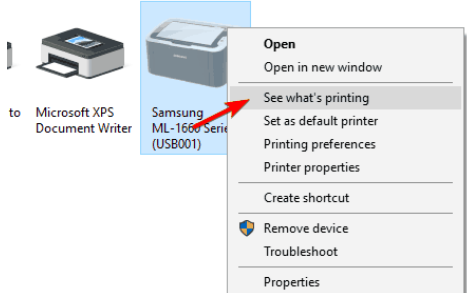 Ensure your printer is set up as default printer. Perform these steps in the order they appear. Reinstall the printer. To do this, perform the steps listed below. Select the printer. Now select Remove Device. Now follow on-screen instructions, if any. Here are some common solutions to this problem. All of these solutions have worked for other Windows users. So you should give them a try, too. You don’t have to try all the solutions listed below. Start with the first one, and move to the next one if the problem persists and so on. In case the issue started appearing after upgrading to Win 10, you should first reinstall/update printer driver. The printer offline issue could be occurring because of incompatible drivers. You can download the latest printer software from the manufacturer’s website. Now you need to go to your printer’s manufacturer’s site. Here locate the newest printer software for the installed printer. Now download this printer software and install it. Once you’ve done this, check if the problem is resolved. An easy way to update your printer drivers is by using a driver update tool. 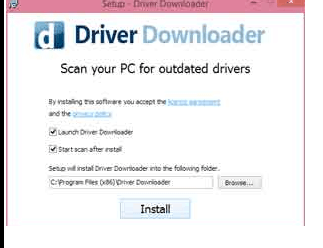 We recommend DriverDownloader. This tool is not only very accurate but also fast. Plus it is easy to use. And the best thing is that you can download, install, and run it for free. When you run DriverDownloader, you’ll get a driver report. To automatically update your printer driver, you’ll need to register the software tool. However, this shouldn’t be a problem since it comes with a 30-day money-back guarantee. You can also contact customer support in case there’s some problem if you are a registered user. Click the green button to download the software. You may either see this message in a pop-up window or at the bottom of your screen. You can directly go to the step 3, if you click ‘run’. On the contrary, if you click save, first go to the Downloads folder and then double-click driver_downloader.exe file. 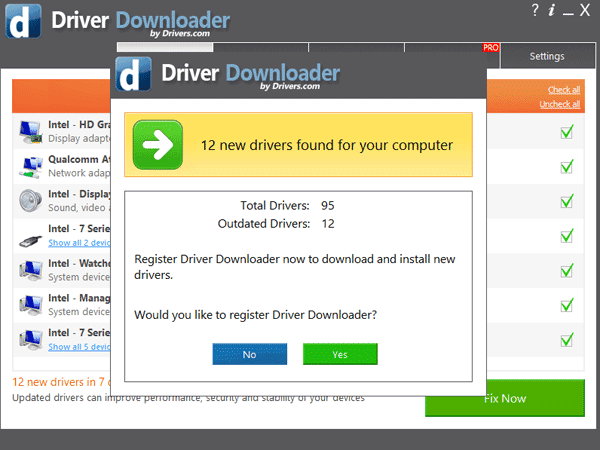 Simply click the Install button and then follow the instructions that flash on your screen to install DriverDownloader. This is the last step. Register the tool and get automatic driver updates. Note: In case this option doesn’t appear on your screen, you will need to right-click the printer and click set as default. Once you’ve done this, perform the last step, as well as the next step in the list. Now select Pause Printing as well as User Printer Offline. In case there’s a tick before either of or both these options, simply remove the tick by clicking at these options. Now check whether the printer status has been changed or not. Many Windows users have stated that they were able to resolve the printer offline issue by simply restarting their printer spooler service. The printer needs this particular service to print and sometimes the problem goes away after this service is restarted. 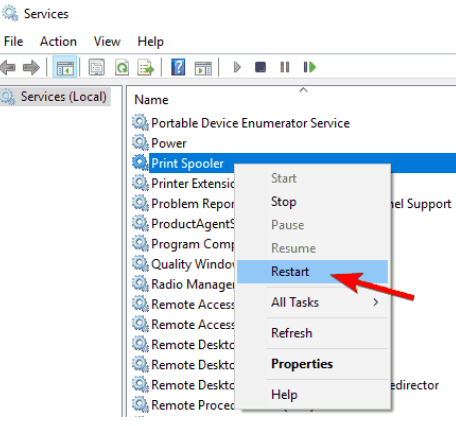 Once you’ve restarted the Printer spooler service, you should check if “printer offline” problem persists. However, remember this solution is not a permanent one. If the problem reoccurs, you will have to perform the aforementioned steps again to restart printer spooler service. In case this solution didn’t work, move on to the next solution. You can try to add a second printer. This step is known to work in many cases. However, do keep in mind that this particular solution works only with networked printers. Windows 10 users may be able to resolve this problem by installing this Windows update. The best thing is to let Windows install the latest updates as and when they appear. However, even if you are not comfortable with letting Windows install updates automatically, you should install certain updates that are deemed as extremely important. The KB3147458 update is one such update. Windows released it to fix printer-related issues in Windows 10. Therefore, ensure you have this update. In case you haven’t installed this particular update, do it now, as it may help fix the aforementioned problem. Now Windows will conduct a search for the latest updates and automatically install them. After the update is installed, restart Windows and check if the issue is fixed or not. For some users changing port settings fixed the “printer offline” issue. You should also give it a go. Now the problem should be resolved. Once you’ve completed the steps listed above, check if the printer is running fine or not. In case the problem still persists after completing the steps listed in this solution, you should reboot Windows and then check if the issue is fixed or not. Some users who were using network printer as well as VPN received this error message. If you, too, use VPN and network printer, you should disconnect VPN and then see if you are able to access the printer. In case you want VPN and the network printer, you should directly connect the printer to your computer using a USB cable. Another way is to adjust the configuration of the VPN and then give yourself local network access. These solutions have worked for many users. We sincerely hope that one of them will help you fix the”printer offline” problem.